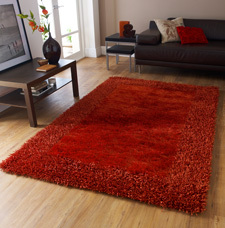 The Sable Textured shaggy rugs collection features a high density super soft polyester pile in a variety of stunning colours. The rugs also feature fine silk-like yarns in the middle part and a thicker pile at the edges giving each rug a textured look. A stunning collection that will make a great addition to any home.